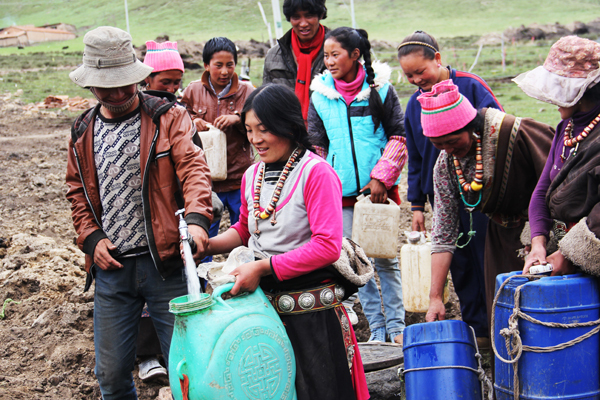 In most Tibetan herding communities, locals use yak dung, sheep dung, and wood as cooking fuels. At night, many households use butter and diesel lamps for lighting. Due to poor ventilation, flames emit poisonous fumes and produce heavy indoor smoke. Burning organic fuels cause eye and lung illnesses while cooking in smoky, poorly ventilated kitchens. Fetching wood and dung is the burden of local women, who travel far distances to collect and carry the fuel back home. Cutting trees causes deforestation resulting, accelerating desertification and leading to increased land erosion in other areas. As a result of collecting wood near communities, floods from extreme erosions jeopardizes many local people's safety, thus many communities must be resettled. In response to these issues, Ganglha provides solar cookers and solar electronic generating panels to the rural communities. 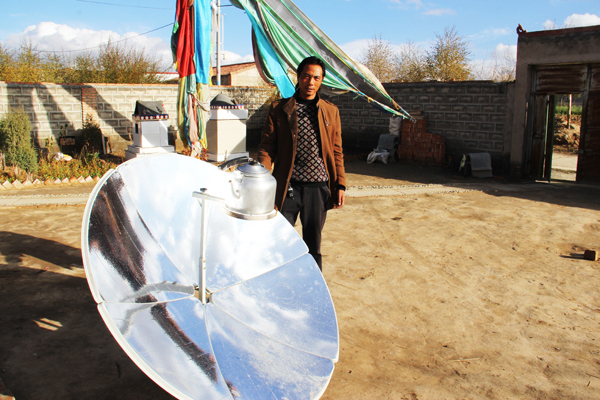 Solar cookers reduce the amount of organic fuels used at home; reduce the amount of time people inhale smoke; women no longer travel as frequently as before to carry woods and yak dung; reduce the amount of woods collected from forest; and locals easily boil water and cook using solar cookers, especially in summer time. Solar panels replace the traditional use of diesel and butter lamp to light the room. 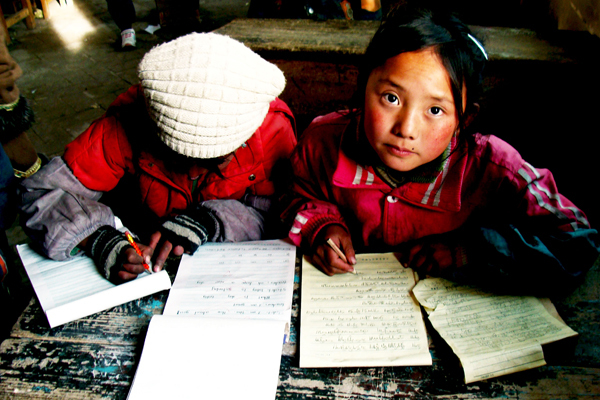 Children may able to study at night under bright light and adults and elders may have convenient mobility. 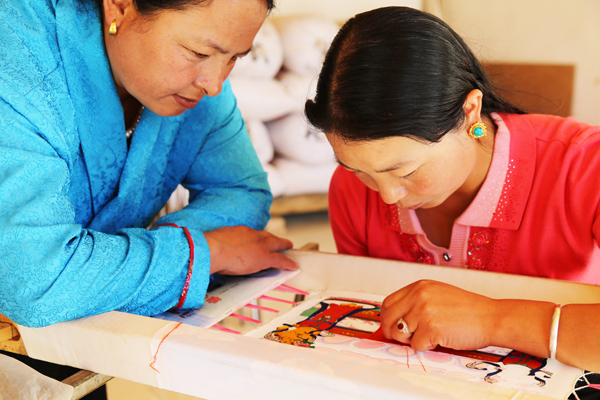 Although there is a deep traditional knowledge of environmental protection embedded in the minds of Tibetans, with rapid appearance of new plastic products, locals lack awareness of the impact of plastic materials and garbage management. No particular training is received at community and school levels. Waste is carelessly thrown on the ground instead of being disposed of in designated areas. 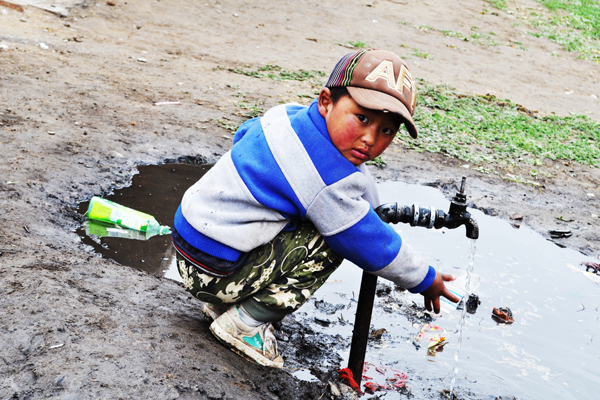 Ganglha provides short-term workshops on environmental protection and waste management at kindergarten and primary school levels throughout our education programs.